While I’ve owned this book for a while, I never read it. I never quite felt motivated to for some odd reason. The Stuarts aren’t my dynasty. They interest me, but I was never dying to read about them. Then, I watched The Favourite. I really enjoyed that movie. It was fun to watch and so absurd, but disturbing and very very gay. Of course, it was also hard to understand since everyone talked quietly and very fast with louder music, so I missed a lot of what was going on. Still, when I got home, I found my copy of this book and cracked it open to read it. So, how did it compare? What did I think? I think that The Favourite, while a very good queer movie about complex female relationships, was highly inaccurate and confusing with the timeline. Most of what happened in the movie was around the time that Anne’s husband, Prince George, was still alive. And, during some of it, she probably would have had her youngest son. The movie also portrayed Queen Anne as very stupid, but she was not stupid in the least. My favorite part of the book was reading how she played everyone before her sister, Mary II, and brother-in-law, William III, became joint rulers of England. Together, they deposed their father, James II, and the rest of the family. She was very smart and played every single side perfectly. The book definitely dropped off in my interest. A lot of events blended together and, at times, it focused far too much on other people and the subject of the book fell to the wayside. It was about Anne, yet it also wasn’t. The book was also suffocatingly sad at some points. If you want to, click here to be taken to the Wikipedia section about her pregnancies. 17 children total. Out of that, 5 stillbirths, 7 miscarriages, 2 died soon after birth, 2 lived a little over one year, and 1 lived to the age of twelve. In one year, she lost three children. If that’s not the saddest thing you’ve ever read, I don’t know what is. When the book was covering all of that chronologically, it was some of the saddest pages I read. I cannot imagine loss on that scale. And you have to imagine how much that affected her as a person, which The Favourite captures beautifully. 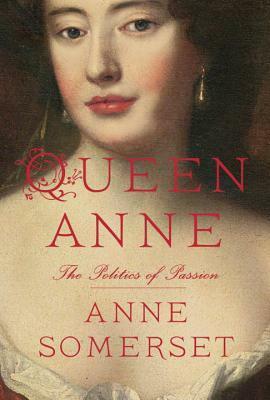 Either way, I would recommend this book to someone who really wants to know everything about Queen Anne’s life and reign. It goes into so much detail about her family and the government officials around her. For me, it got a bit boring, but it’s a great book to reference if you want to know anything about this period. Did you go see The Favourite? What did you think? Do you have a favorite underrated monarch? I was sad about the rabbits as well. That was a really good one. But, it’s a good book! Just dense.